The Keen Newport H2 is made of a quick-drying material that also is very comfortable on the skin. The elastic cords and the adjustable strap with velcro closure for easy on and off the shoes. Especially by children, it´s important that they take a footwear that can withstand a lot. The children's shoes from Keen are very stable and robust. Also playing in and around water is now made ? ?easy because the material characteristics of the Newport H2 dries very quickly. The Keen sandals for kids can be used both at school, and to hiking. By the extra-wide rubber outsole can also easily be run on asphalt and gravel. 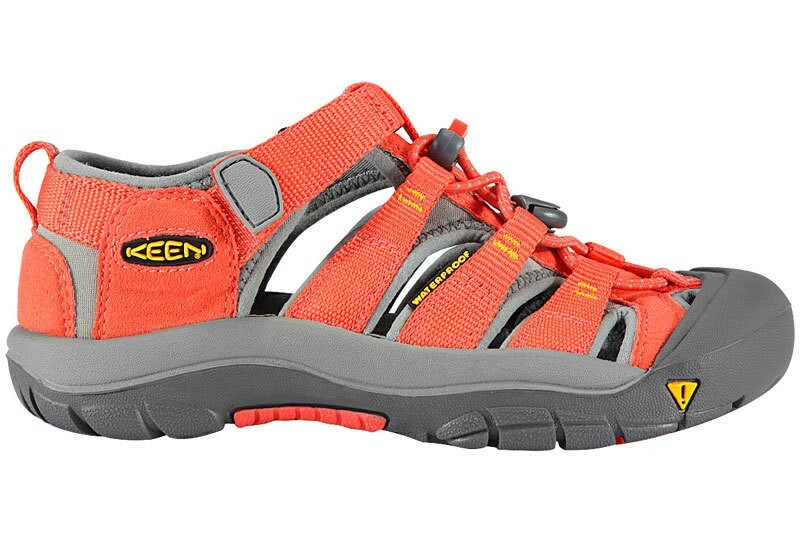 The water sandals from Keen are all machine washable. For this purpose, use only a little detergent and set the gentle cycle. Then the children's shoes can be easy dried on the air.